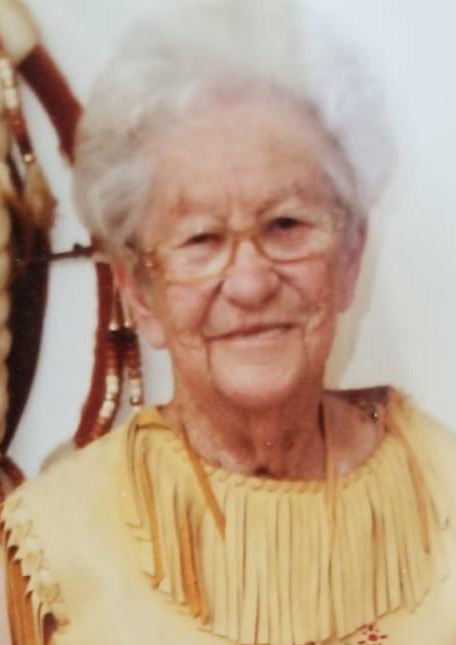 Ida P. (Rondeau) Beaulieu 90, formerly of Blackstone, died Monday, November 19, in Overlook Nursing Home. She was the wife of the late Armand G. Beaulieu. Ida was born in Millville, a daughter of the late Ulric and Maria (Vincent) Rondeau. She was a clerk and secretary for Blackstone Security Agency for many years and also worked as a cook for St. Antoine, and was a former employee of The U.S. Rubber Co. in Woonsocket. She was a member of the Early Village Get Together Club, as well as the Southern Alliance Tribal Council. She is survived by three sons: Bruce Beaulieu and his wife Christine of Stoddard, NH, Peter Beaulieu of Millville, and Paul Beaulieu and his wife Sharon of Blackstone, a daughter Hope Barrette and her husband Glenn of Coventry, seven grandchildren and six great grandchildren. She was also the sister of the late Viola Chalon.